New condition - bench tested onlyTested by industry technician - works beautifully!Minor marks and scuffs from storage only. 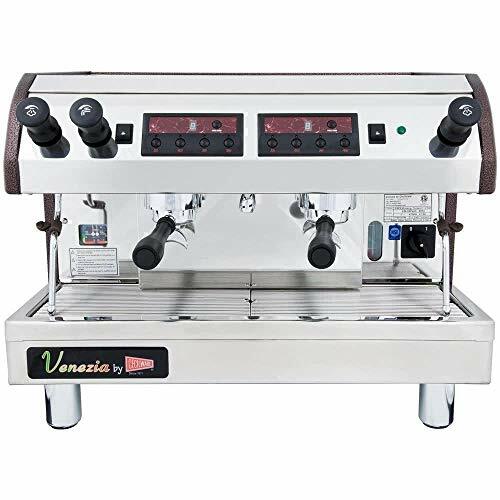 The machine does not include original packagingFully automatic, user-friendly designCan produce up to 240 cups per hourIncludes machine, built-in pump/motor, hoses, and portafilter100% Satisfaction Guaranteed!Features:Dual pressure gauge with readouts for dispensing water pressureHeavy duty stainless steel constructionBuilt-in 260W motor and 200-300 qt./hr pumpAuto cleaning functionDimensions: 21 1/4"W x 21 1/2"D x 20 1/4"HAmps: 15 AmpsHertz: 60 HertzVoltage: 120Wattage: 1500 WattsHot Water FaucetNSF ListedNumber of Steam Wands: 1Tank Capacity: 6 qt.Water Source: Direct ConnectionActual machine photoed! 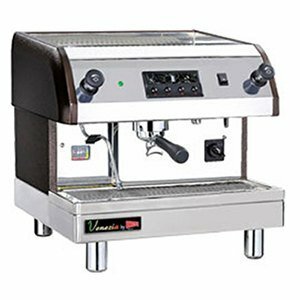 The buyer will receive the machine as shownProfessional installation and proper water filtration required Free ShippingShipping lead time is 1-5 business days. 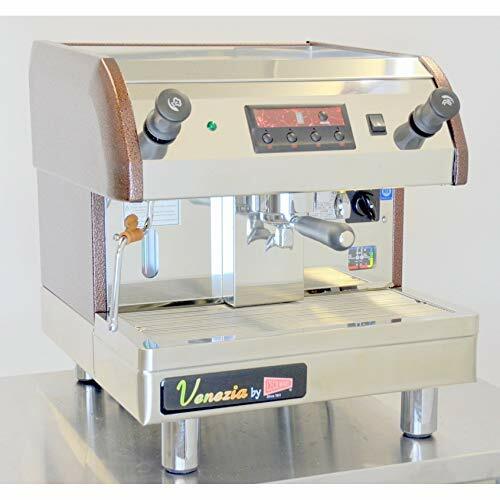 This is a free shipping, freight only item and must ship to a lower 48 business or commercial address to qualify. There is a residential surcharge of $60. 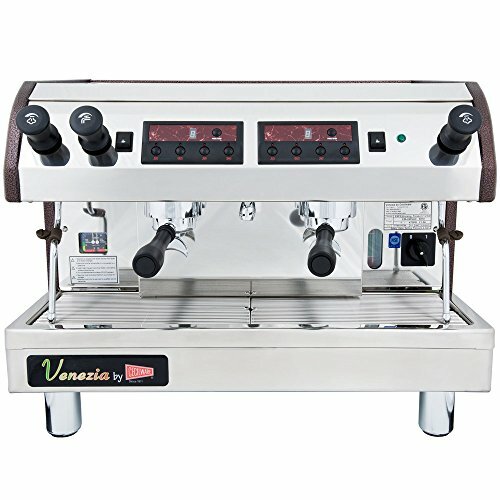 New conditionBeverage Volume: Can produce up to 480 cups per hourDual pressure gauge with readouts for dispensing water pressureHeavy duty stainless steel constructionBuilt-in 260W motor and 200-300 qt./hr pumpAuto cleaning functionSight glass for easy monitoring of water tank levelHot Water Faucet: YesNSF Listed: YesESP2-220V Specifications:Amps: 20 AmpsHertz: 60 HertzVoltage: 240 VoltsWattage: 4,700 WattsNumber of Steam Wands: 2Tank Capacity: 13 qt.Water Source: Direct ConnectionDimensions: 28.5" x 21.5" x 21.5"100% Satisfaction Guaranteed! Free ShippingThis is a FREE SHIPPING, freight only item and must ship to a lower 48 business or commercial address to qualify. Shipping lead time is 5-10 business days. Product excluded from promotions and coupons. Note: Image is a representation. Actual product may vary based on model, size, and options selected. 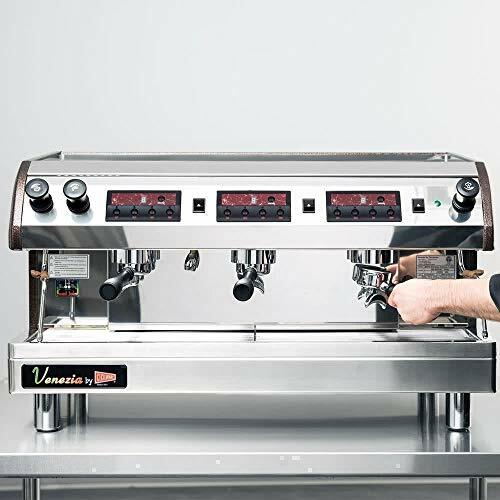 New conditionFully automatic, user-friendly designCan produce up to 720 cups per hourDual pressure gauge with readouts for dispensing water pressureHeavy duty stainless steel constructionBuilt-in 260W motor and 200-300 qt./hr pumpSight glass for easy monitoring of water tank levelAuto cleaning functionESP2-220V Specifications:Amps: 27 AmpsHertz: 60 HertzVoltage: 240 VoltsWattage: 6,500 WattsHot Water Faucet: YesNSF Listed: YesNumber of Steam Wands: 2Style: Semi-AutomaticTank Capacity: 19 qt.Dimensions: 23" x 37.5" x 21.75"Water Source: Direct Connection100% Satisfaction Guaranteed! Free ShippingThis is a FREE SHIPPING, freight only item and must ship to a lower 48 business or commercial address to qualify. Shipping lead time is 5-10 business days. Product excluded from promotions and coupons. Note: Image is a representation. Actual product may vary based on model, size, and options selected. 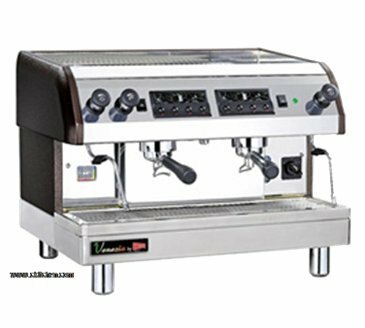 New conditionFully automatic, user-friendly designCan produce up to 240 cups per hourDual pressure gauge with readouts for dispensing water pressureHeavy duty stainless steel constructionBuilt-in 260W motor and 200-300 qt./hr pumpAuto cleaning functionFeatures:Width 21 1/4 InchesDepth 21 1/2 InchesHeight 20 1/4 InchesAmps 18 AmpsHertz 60 HertzVoltage 120Wattage 2,000 WattsHot Water Faucet YesNSF Listed YesNumber of Steam Wands 1Style Semi-AutomaticTank Capacity 6 qt.Type Espresso MachinesWater Source Direct Connection100% Satisfaction Guaranteed!Note: In-line water filter must be installed for the warranty to be in effect. Please Note: Grindmaster-Cecilware items may not be exported outside of the United States. Exporting these items will void the warranty. Free ShippingThis is a FREE SHIPPING, freight only item and must ship to a lower 48 business or commercial address to qualify. Shipping lead time is 5-10 business days. Product excluded from promotions and coupons. Note: Image is a representation. Actual product may vary based on model, size, and options selected. 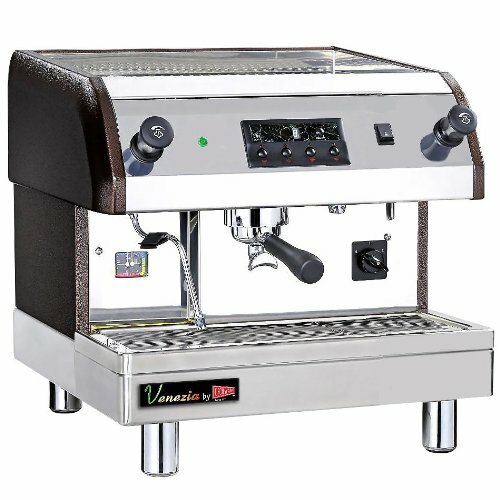 Looking for more Cecilware Venezia Espresso Machine similar ideas? Try to explore these searches: Gold Huskies, Diamond Solitaire Enhancers, and Embroidery Pure Silk Ribbon. 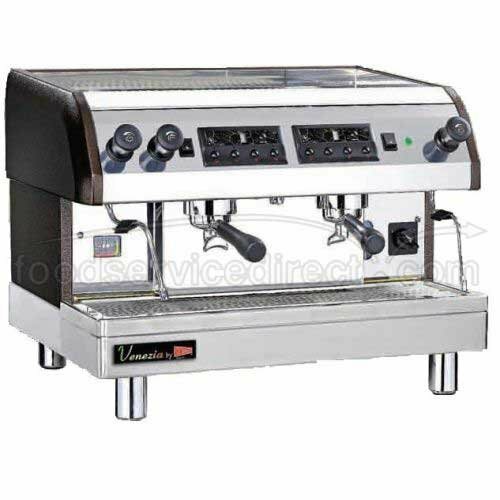 Look at latest related video about Cecilware Venezia Espresso Machine. Shopwizion.com is the smartest way for online shopping: compare prices of leading online shops for best deals around the web. 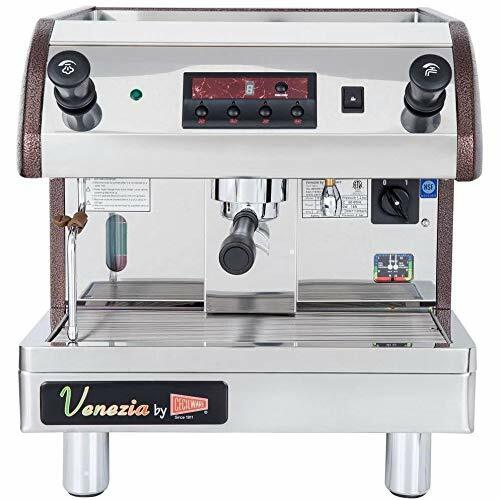 Don't miss TOP Cecilware Venezia Espresso Machine deals, updated daily.